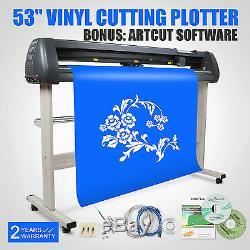 New 53 Vinyl Cutter Cutting Plotter Machine Artcut Software. 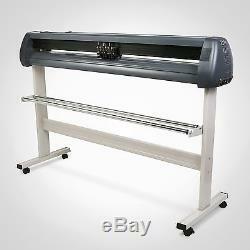 This New 53 Vinyl Cutting Plotter Machine comes with easy-to-use Design and. Which allows you to cut professional customized designs and signs with your cutting machines, giving you the ability to use your fonts, import custom artwork, and draw your own shapes! 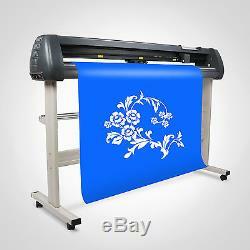 It Works great for advertising industry, car beauty industry, fashion design, etc. There is another software named Signmaster-not for free. If you need it, please contact our customer sevice. In this version, if you have an image that has many colors in it, you can easily isolate each color and cut them separately. Print and cut capability (contour cutting) for this new 53Vinyl Cutting Plotter. Works with your installed TrueType and OpenType fonts. Drawing tools to draw and edit shapes. Weld overlapping letters and shapes together. Select styles, including shadow and blackout, to change the look of your letters and shapes with just a few clicks. 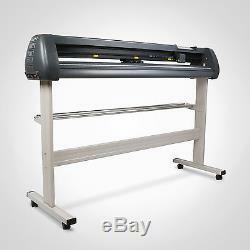 Auto-tracing feature to automatically convert images for cutting. Pentium processor-based PC or compatible computer (Windows). NOT compatible with Mac when used with this cutter. Pinch-rollers can be adjustable on the guide rail according to different paper width. Professional blade holder gives you access to the most economical blades available. 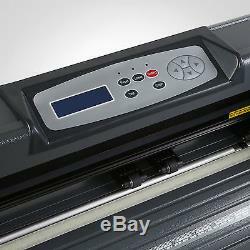 Adjustable digital force and speed to handle the cutting process. Inertial rotating blade holder enables more accurate and high quality cutting. Emergency stop/start feature allows you to stop cutting and restart. 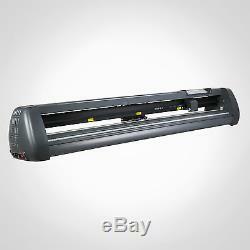 Updated design allows adjustment of cutting force and speed while working. Auto memory of blade force and speed adjustable at any time. 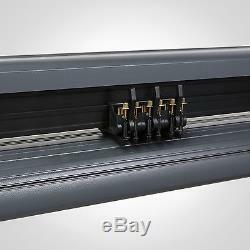 Superior ball-bearing dual roller media system allows you to place material on top of rollers rather than putting roller material each time. USB connection is accomplished through serial conversation to support the long-distance data transmission. Blade Types:Standard Roland blades and compatible blades. Comparison - Notes:Higher quality than MH Series. Cables included:Serial cable, USB cable, power cable. Interface:Serial Port & USB2.0. 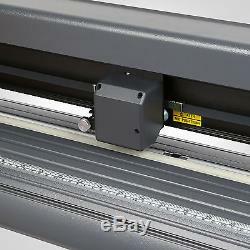 Max Cutting Width:49.56(1258.824mm). Number of Pinch Rollers: Three (3). 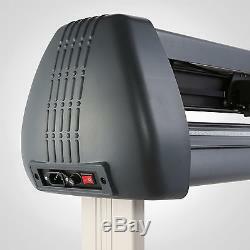 Power Requirements:110-220V AC 50/60Hz Auto-switching (worldwide). Repetition Accuracy:0.005IN (0.127 MM). Resolution:0.001Inch/step (0.0254mm/step). 1 x User's Manual. 1 x 3 Driver CD. A: Please log on your account. Q: How do I return an item? Please contact our customer service before you return an item. 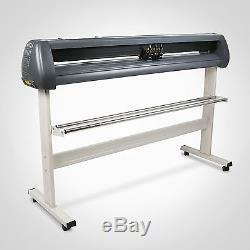 The item "53 VINYL CUTTER/SIGN CUTTING PLOTTER WithCONTOUR CUT PLOTTER ARTCUT SOFTWARE" is in sale since Thursday, September 17, 2015. 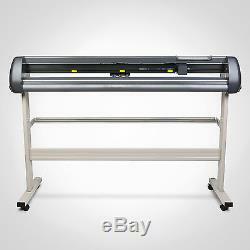 This item is in the category "Business & Industrial\Printing & Graphic Arts\Plotters, Wide Format Printing\Cutters- Wide Format". Comparison - Notes: Higher quality than MH Series.